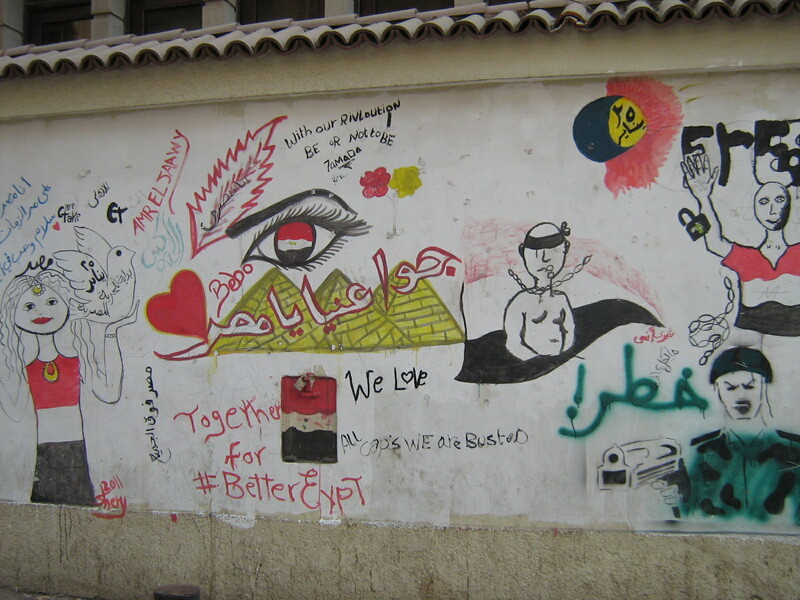 Among many, many, graffiti in Tahrir today. 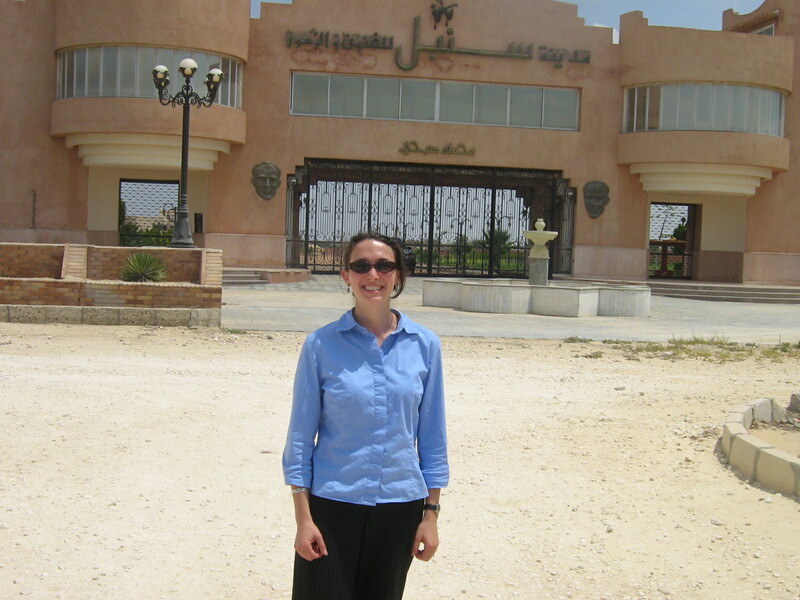 Most were in Arabic and were much more specific. But still, here’s the “to be or not to be” thing. Look at the very top in the center. Does anyone know anything about this production? I was just working on a reference book entry on Arabic Hamlet and came across some remarkable photos from it in an an old article by Suheil Bushrui (Middle East Forum, Spring 1971, pp. 54-64). The production is mentioned on the festival web site (click on 1967), but no detail or photo is given. Here’s what I know. Date: 1967 — apparently at that year’s Ba’albek summer festival? Right after the 1967 war?? Cast: will post more as I find out. For now all I know is that Michel Naba’a played Hamlet. Choreographer/dancer Georgette Gebara did the choreography and played the Player Queen in the play-within-a-play. Years ago, a performance of Hamlet in Arabic took place in Byblos with Michel Naba’a in the lead role (Directed by Mounir Abou Debs in Arabic). During the scene when the Ghost appears and advises Hamlet on what to do, as he is leaving, he says to Hamlet in Arabic “LA TANSANI YA HAMLET”. [Don’t forget me, Hamlet.] Hamlet shrieks out “ANSAAK????”. [Forget you???] Whereupon, the audience joined in : “Da KALAAM??”. But it seems not to have been new in 1967, but rather (and this would make much more sense, both war-wise and Shakespeare-quadricentennial-wise) in 1964 or earlier. 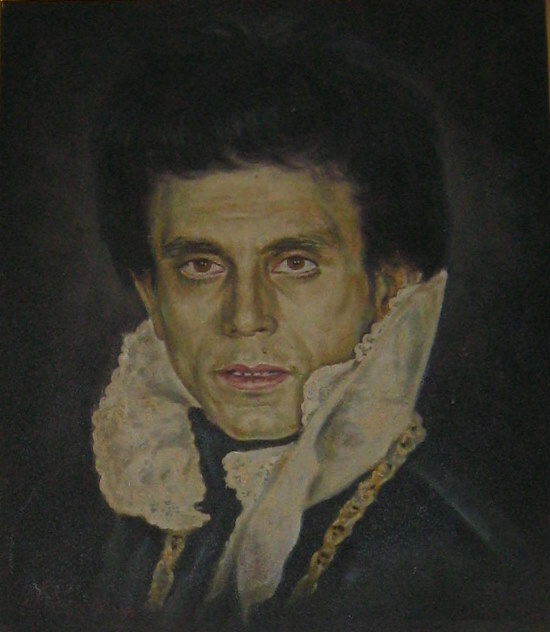 A Mounir Abou Debs adaptation of Hamlet is mentioned as early as 1963 in a UNESCO report, as an example of the televised drama in Arabic that was raising the overall cultural level of Lebanese TV programming. Another UNESCO report, this one a book-length 1981 study by Joseph Abu Rizk titled La Politique Culturelle au Liban, cites the production of Shakespeare’s Hamlet (among a long list of other prestigious works) as evidence of “le niveau atteint par le theatre [libanais].” (67-68). If you’re in Lebanon at the moment (though you probably have other things on your mind), you might be able to find more info and/or some photos of the Hamlet production somewhere in here. The Global Shakespeares web archive has put up QuickTime video of Mohamed Sobhi’s Hamlet, a landmark production first staged at the Art Studio Theatre in 1971 and then reprised and filmed for television in 1976-7. 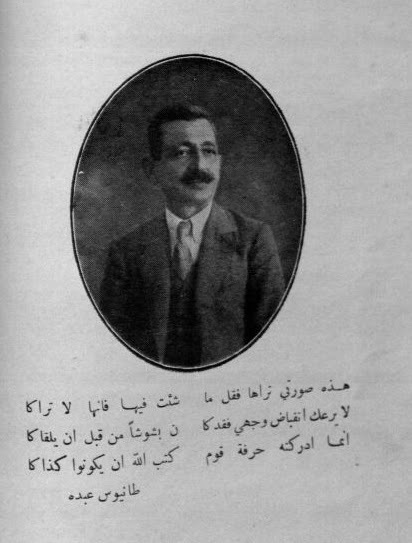 Filming was directed by Nur al-Demerdash. The full-length video is here – it runs over two hours. Helpfully, they’ve posted some excerpts too — individual scenes that are more convenient to use in class. I should say, “landmark” does not mean it’s great theatre. 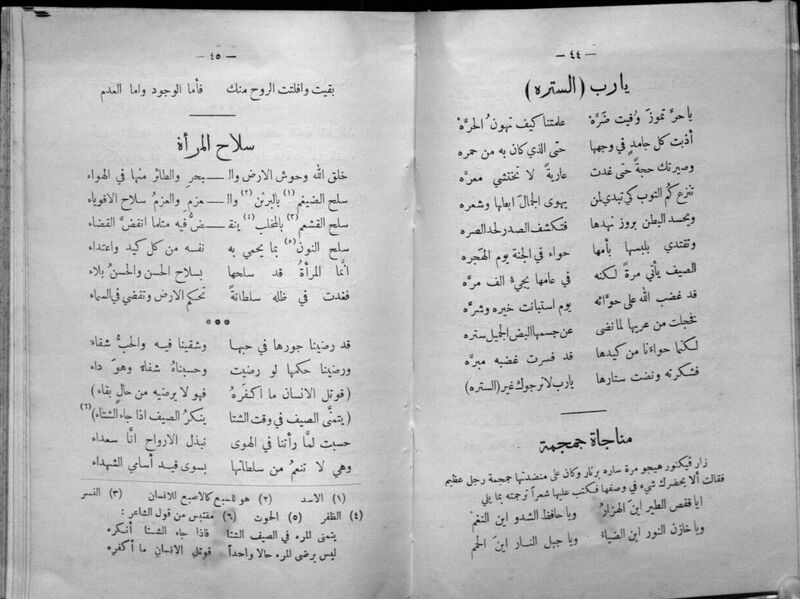 Critic Hani Shukrallah memorably summed it up in a 2001 column about Sobhi on the occasion of the latter’s controversial (and awful) Ramadan mini-series dramatizing the Protocols of the Elders of Zion. Meanwhile, we are supposed to look forward to Egyptian “character actor” Mohamed Sobhi performing no less than 14 roles in a TV serial dramatising the Protocols of the Elders of Zion, which apparently has had millions spent on it and is to be broadcast in many parts of our glorious Arab nation. The casting is apt. Sobhi is symptomatic of “the state of the nation” — or is it civilisation? Several years ago I had to suffer through a Hamlet performed by this man, hailed as one of our great actors. I’m no drama critic, but even I could recognise that Sobhi’s acting skills seem to lie precisely in “saw[ing] the air too much with… [his] hands” and “tear[ing] a passion to tatters.” Little wonder, perhaps, that he is so well admired; tearing a passion to tatters seems to be a particular predilection of “our civilisation” these days. Later I’ll try to comment on particular scenes, either here or in the metadata on the Global Shakespeares web site. Meanwhile, I just wanted to tell the story of how I obtained this video. Sobhi has, in case you didn’t notice from the quote above (he played all the parts in his own miniseries! ), a certain sense of his own importance. And Egyptian society has rewarded this attitude with all kinds of celebrity and adulation. When I made a trip to Cairo in 2007 while working on my book, a theatre scholar friend managed to find me Sobhi’s cell phone number. Someone else tried to give me Sobhi’s number too, but it was incorrect. Anyway I called and made an appointment to meet and talk about his Hamlet. But he wasn’t in Cairo. 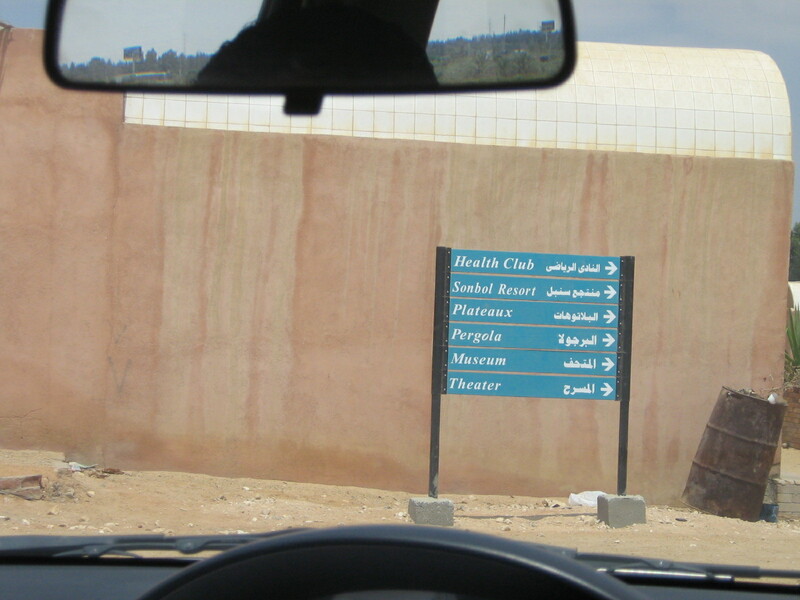 He had built himself a studio complex way out in the desert along the Cairo-Alexandria road. 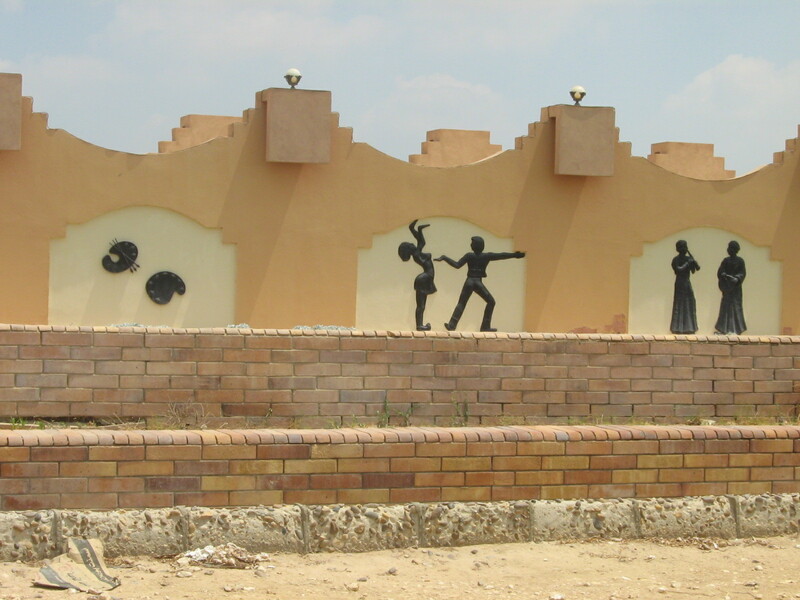 He had called it Sonbol City for the Arts, after a character in one of his films. Okay. I hired a car-and-driver and made the trek. It was about an hour and a half. 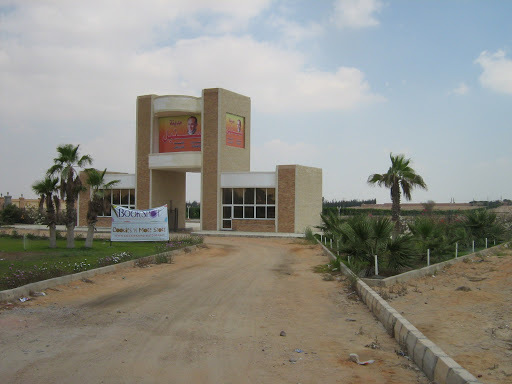 Sonbol City included film editing facilities, a swimming pool, health club, various meeting rooms, etc. But it was a pretty surreal – sprawling and empty, except for Sobhi himself, who was editing his latest Ramadan series, attended by a skeleton staff of a couple of dozen people. I don’t know if it has filled up since then. 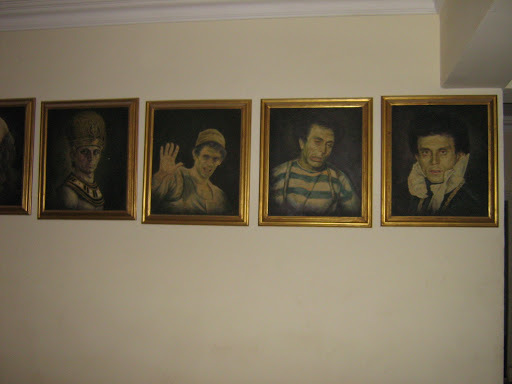 I don’t know if you can see the images of Sobhi in these photos – they were everywhere. Along with comedy/tragedy masks and vignettes from his films, etc., including from the period of his collaboration with Egyptian playwright Lenin El-Ramly (the two split up quite a while ago). 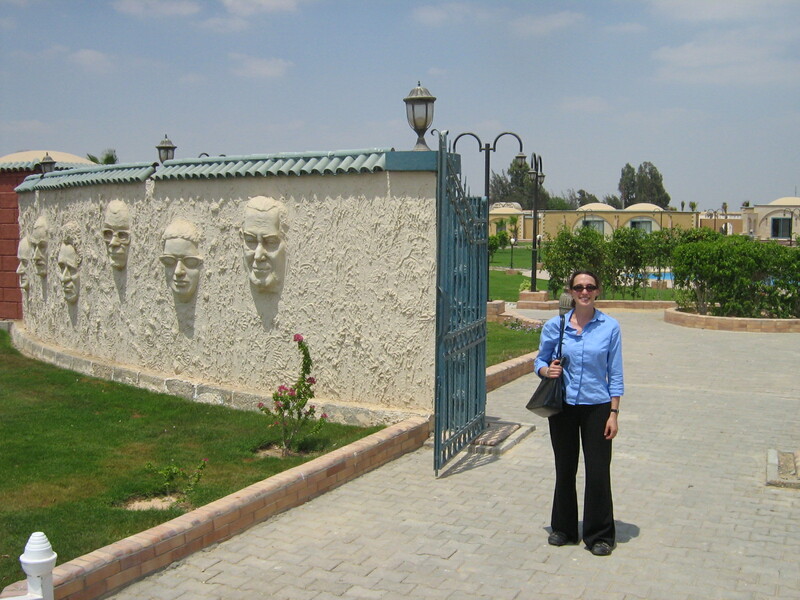 Plaster casts of the greatest Egyptian entertainers: that’s Umm Kulthum second from right with the sunglasses. Anyway, I waited for a while and then the man himself came out to talk with me. He was tired and unshaven, in the middle of that Ramadan serial. But he gave me a great interview – we talked for over an hour, discussing many details of his Hamlet production — of which, at that point, I had only read reviews. Most reviewers had focused on the play’s opening scene: it starts with the epilogue, Hamlet’s funeral. Sobhi said he did this in order to make the audience think: “I didn’t want them to sit there wondering what would happen, but asking themselves why it had to happen.” When I remarked that this sounded like a Brechtian desire, he said: “No, it wasn’t Brechtian or anything.” Finally I asked if he could share a recording. Yes, he said. There was an old videotape. It was from the 1970s. It was film but then had been converted to VHS. He didn’t have it with him. Could I meet him in Cairo in two days? I could, but stupidly I somehow spent the whole day calling the incorrect cell phone number. When I finally called the right one towards evening, it was too late — he was already back at Sonbol. But he had taken the VHS tape with him. Could I come pick it up? Fortunately, the driver remembered the location and was able to go without me. He picked up the tape and brought it back to Cairo. Then he nearly refused to accept money, so thrilled was he to be able to meet the great actor in person, to actually shake Mohamed Sobhi’s hand. Back in the US, I had it converted to a DVD, and now the good people at Global Shakespeares have posted it online for your delectation. Enjoy! You knew it was coming, but here it is. As the post-“revolutionary” (I still think it was largely a military coup) situation in Egypt becomes more intense, with a tug-of-war between the military and the protesters, between secular-state and Islamist protesters, and between different branches of Islamists (traditionalists vs. neo-fundamentalists) — as all this heats up, could Hamlet be far from the conversation? وغدت بعدك المآتم اعياداً وذاك الثغر الحزين تبسم. Why are the publishers having so much trouble getting this quotation to appear correctly in Arabic in the forthcoming issue of Shakespeare Studies? Right-to-left issues are a pain. My article on ‘Abdu will be in Shakespeare Studies Vol. 39, accessible via full-text humanities search engines as well as Google Books and the like. I first began studying Arabic fourteen years ago in part because, on my first trip to San Francisco, I had randomly met Palestinian lawyer Raja Shehadeh’s cousin Nabil and immediately afterwards, walking into a used bookstore, stumbled on a copy of Shehadeh’s memoir, The Third Way. That’s part of what helped inspire my interest in the language and, eventually, in Arab appropriations of Shakespeare. Of the two ways open to me as a Palestinian — to surrender to the occupation and collaborate with it, or to take up arms against it, two possibilities which mean, to my mind, losing one’s humanity — I choose the third way. To remain here. To see how my home becomes my prison, which I do not want to leave, because the jailer will then not allow me to return. Some high-cultural aspirations to enliven your rainy Wednesday. 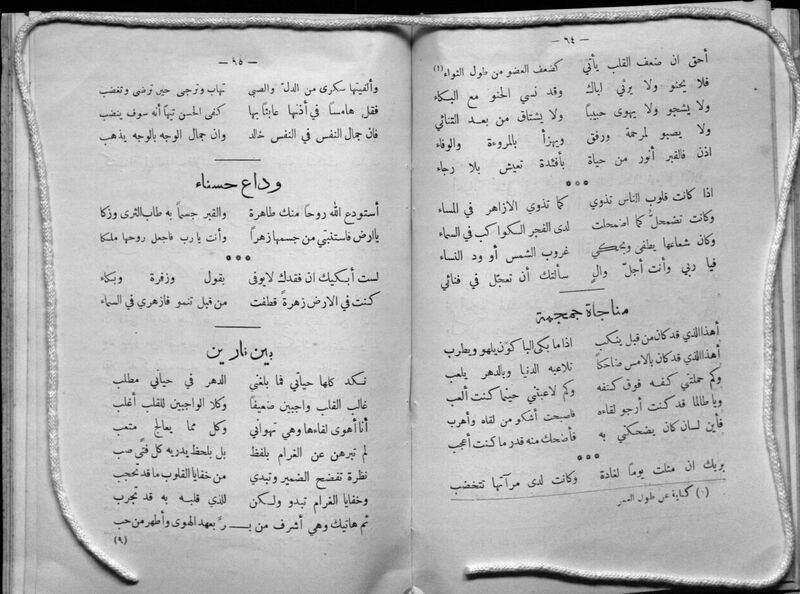 These “poems” are from the slim 1925 diwan published shortly before his death by Tanyus ‘Abdu (طانيوس عبده), with a brief but glowing preface from none other than Khalil Mutran. 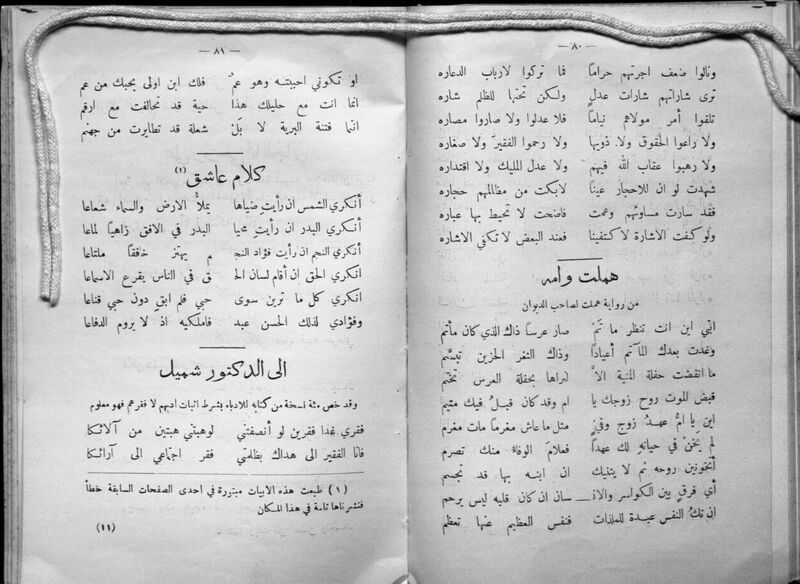 These are not really very poetic — not even soliloquies so much as arias meant to be sung by Shaykh Salama Higazi (who later recorded some of them for Odeon Records). Finally, most famously, “Hamlet and his Mother,” an aria about which Muhammad `Awad Muhammad reminisces in his introduction to his own Hamlet translation as late as 1972. A production of Jawad Al-Assadi’s “Insuu Hamlit” (first performed 1994 in Cairo, published 2000 in Beirut) directed by Issa Dhiab is touring Kuwait. Recently performed at Gulf University in Mushrif. Al-Siyasa newspaper has details here (in Arabic). Woo hoo! Available for pre-order at Princeton: http://press.princeton.edu/titles/9582.html.